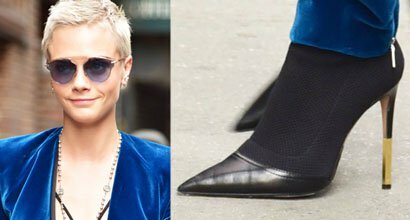 Scroll down to see celebrities wearing clothing and shoes by Thierry Mugler, a French fashion designer and founder of the eponymous fashion and fragrance house. Known for his exceptional catwalk shows, Thierry Mugler is a French fashion designer born on December 21, 1948, in Strasbourg, France. How to pronounce Thierry Mugler It is pronounced tee-air-ee mu-glare. What happened to Thierry Mugler's face? He underwent facial reconstruction following a serious accident at the gym that completely smashed his face. Where to buy Thierry Mugler You can purchase Thierry Mugler perfume at Amazon. You can buy dresses and clothing at Farfetch and Moda Operandi.